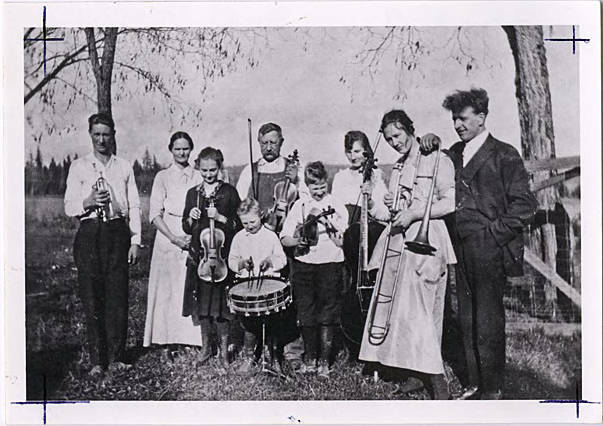 Black and white image of a family standing outside with their instruments in hand. Visible instruments include violins, a trumpet, a cello, a trombone, and a snare drum. 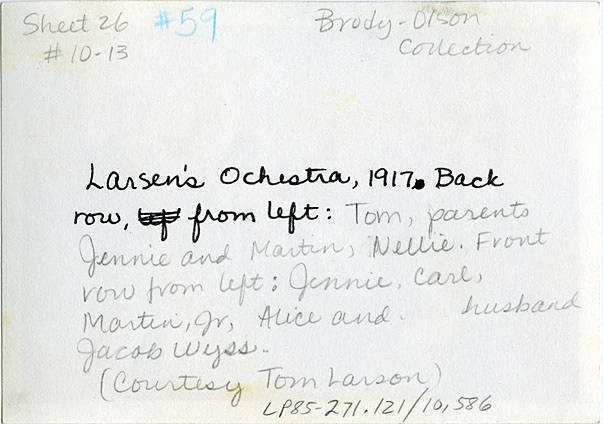 [back] [pen] Larsen's Orchestra, 1917. Back row, from left: [pencil] Tom, parents Jennie and Martin, Nellie. Front row from left: Jennie, Carl, Martin Jr., Alice and husband Jacob Wyss.